Graduate students are alphabetized by last name. Mohamed Abdelmoteleb joined FARRP in August 2015 as a Ph.D. student under the supervision of Dr. Richard Goodman. Previously he worked as an assistant lecturer at faculty of Science, Mansoura University, Egypt. Mohamed obtained his M.S. in Botany Department from Mansoura University in June 2013. His current research focus is on bioinformatics of allergy in genetically modified bacteria. Abby Burrows joined FARRP in 2014 as an M.S. student under the advisement of Drs. Steve Taylor and Joe Baumert. After receiving her M.S. in 2016, she began her Ph.D. studies supervised by Dr. Phil Johnson. Her research focuses on the detection of allergenic food proteins in blood using mass spectrometry methods. Wanying Cao joined FARRP in August 2016 to pursue her Ph.D., after receiving her M.S. in Food Safety and Technology from the Illinois Institute of Technology in August 2016. Her research is focused on the characterization and detection of intact and hydrolyzed gluten using mass spectrometry. She is co-advised by Dr. Melanie Downs and Dr. Joe Baumert. 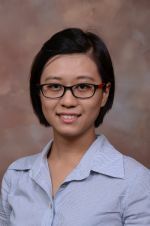 Shimin Chen joined the FARRP group in August 2015 after receiving her B.S. in Plant Protection from South China Agricultural University in China. She pursued a M.S. in Food Science and Technology under the supervision of Dr. Melanie Downs, focusing on the proteomics of allergenic foods. Shimin completed her M.S. degree in December 2017 and is now working on her Ph.D.
Jenna Krager joined FARRP in January 2019 to pursue a M.S. in Food Science under the supervision of Dr. Joe Baumert. She received her B.S. in Food Science and Technology from the University of Nebraska-Lincoln in 2018. Lee Palmer received his B.S. in biochemistry from Arizona State University in 2012. He joined FARRP in 2014 and received his M.S. in 2016. He is currently a Ph.D. student supervised by Dr. Phil Johnson where his research focuses on studying novel sources of food allergens using proteomics to assess their potential risk to allergic individuals. Morganne Schmidt joined FARRP in August of 2018 as a Master’s student studying under Dr. Joseph Baumert. She received her B.S. in Chemistry and Food Applications from the Dominican University (Chicago, Illinois).